Primary and secondary endpoints were collected using clinician and patient-reported assessments on the eCOA Tablet. On‑device calculations, branching and restricted reporting time intervals helped Celgene ensure the completeness and quality of data collected, reduce monitoring time and costs and expedite database lock. ERT EXPERT® provided easy access to real-time study data with reports on patient enrollment, compliance and safety. Celgene evaluated the safety and effectiveness of OTEZLA®, an oral inhibitor of phosphodieasterase-4 (PDE-4), in three global clinical trials involving 1,493 patients worldwide with active PsA. The FDA approved OTEZLA® in March 2014. Celgene wanted to determine whether patients treated with OTEZLA® would show improvement in signs and symptoms of PsA, including tender and swollen joints and physical function, compared to placebo. Celgene chose to use the eCOA tablets to collect data about patient symptoms as observed by physicians through the ACR assessment which was used to assess efficacy. The eCOA tablets were used to collect quality of life data including SF-36, EQ-5D, MOS Sleep Scale and WLQ-25. In addition to QOL data, the patient also recorded the HAQ-DI, a patient’s assessment of pain and a global assessment of their disease. Patients with axial disease also completed the BASDAI. Sites completed the 76/78 Joint Assessment, a physician’s global assessment of disease, a dactylitis assessment, the MASES and the PASI for patients who had more than three percent of psoriasis. While Celgene did have a paper backup system in place, the number of paper instances Celgene used was less than 2% across the global studies. The program included patients who were “snowbirds,” spending summer in Canada and winter in Florida. To handle this issue and transfer of a patient, Celgene put an entire patient transfer document into place to make sure patient data were transferred so they could capture the additional data for snowbird patients when they transferred. Celgene took the data from ERT and transferred it to their CRO, who performed a manipulation and delivered two datasets for Celgene’s review. Various programming checks on the data looked for mismatches and made sure everything lined up. Online data access via ERT EXPERT improved patient retention. When patients came in for site visits monitors could show them where their symptoms started, where they were at the moment and the difference. If patients said they weren’t sure they were doing well the investigator could show them how they had progressed throughout the course of the study. To assess potential patient fatigue Celgene asked study coordinators and internal staff, some of whom had not seen the questionnaire before, to see how long it took them to complete it. Most people spent between 30 and 40 minutes on the complete set of patient questionnaires. To minimize impact from potential patient fatigue Celgene ordered questionnaires by importance for secondary endpoints, so the first questionnaire patients saw on the eCOA Tablet was the key questionnaire Celgene needed. As of December 31, 2013, Celgene had completed over 17,800 patient visits on eCOA Tablets. There were over 166,000 expected questionnaires and assessments on the eCOA Tablet, putting the completion rate at over 99%. For Celgene’s primary endpoint they achieved a 99.5% effective completion rate on the eCOA Tablets. Celgene did not provide training devices to CRAs at the Investigator Meeting (IM), but enabled them to bring their devices back to their site. “We provide so much information to CRAs at the IM it’s hard for them to comprehend all of it and to understand what they’re supposed to do once they get back. After the IM, they can sit with a physician or study coordinator and walk through how to assign a patient and how to do assessments with the trainer." After submitting the NDA, Celgene preplanned for their sponsor inspection, and conducted inspection readiness training for about a year before inspections occurred, so they had all documents inspectors requested. Elisabeth spent a number of hours with the inspector going through a point-for-point comparison of the source data for primary endpoints. eCOA Tablets gave the Celgene team the confidence to know they were presenting high quality data and they could answer questions about the data throughout the trials and during their inspection quickly. “ERT EXPERT is an excellent source of information,” Elisabeth commented. Because Celgene trained sites before they had a health authority inspection, each site was aware of how to access requested data related to any aspect of the trial. While preparing for inspection, Celgene had a weekly meeting with program suppliers including ERT, and eventually reduced the schedule to every two weeks. It took about 30 minutes each month to discuss four studies. “Having that time built into your calendar and having the buy-in from your cross-functional team to attend those calls is vital so everybody knows what they need to do,” Elisabeth said. The best laid plans encounter pitfalls; what is important is how you react and work through problems: “Plan, plan, plan with your internal team, your partners and your vendors,” said Elisabeth. For example, it took about seven weeks to get wireless access hubs into Russia because Celgene had to go through so many lines of approval. “Preplan with your vendor, and you’ll be ready for any obstacles,” is a key recommendation for managing a large global trial with complexity. Casebook preparation was very important for Celgene. ERT has its own format for providing data for archives, as do other vendors. Celgene determined how to integrate all the pieces of data so when they provided their information to a health authority according to the standard, they were able to look at one patient and all their data as a whole. If you have DCFs you want to make sure they don’t mount up on you. At Celgene’s first meeting with ERT they had about 70 DCFs or site questions. They reduced the list to a manageable three or four. “Old ones fall off and new ones will come in, but that’s a very manageable level as you’re working into a database lock,” she said. This is the one of the most important parts of a clinical trial in general and an eCOA System in particular. “You want to ensure the CRAs working on your program are adequately trained so they know how to use the eCOA Tablet and what ERT EXPERT can do for them,” Elisabeth said. “When CRAs understand the process and how to use the eCOA Tablet, it makes it easier for the group and makes your job as sponsor/manager much easier." Celgene allocated training time at IMs. 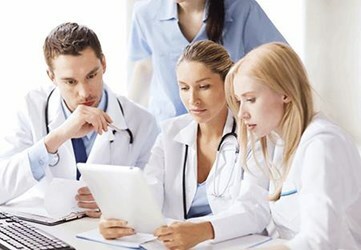 “Think early on about what kind of training you want to do and how often you want to do it — in‑person, webinar, small group training — and get your team that information.” The training engaged coordinators: When Celgene started the program many coordinators said their physicians would never do assessments on the eCOA Tablet, but would only use paper. After the first six months of the study, principal investigators asked if they could use the eCOA Tablet in their regular practices and get output from ERT EXPERT. Elisabeth recommends getting the ERT device in as many hands as possible to see if they can break it, if people need extra training, or if they have issues with how questions are worded. Celgene asked its team members to go all the way through physician and patient assessments. Then Celgene gave the eCOA Tablet to some of its physicians and asked them to follow the flow of the physician assessments, and report on how it worked. Getting their input told Celgene ahead of time how they might experience adoption in the field. That exercise was very beneficial because Celgene was able to make changes to make it easier for its sites to use the eCOA Tablet. ERT is a global data and technology company that minimizes uncertainty and risk in clinical trials so that customers can move ahead with confidence. With more than 40 years of clinical and therapeutic experience, ERT balances knowledge of what works with a vision for what’s next, so we can adapt without compromising standards. Powered by the company’s EXPERT® technology platform, ERT’s solutions enhance trial oversight, enable site optimization, increase patient engagement and measure the efficacy of new clinical treatments while ensuring patient safety. Since 2014, more than half of all FDA drug approvals came from ERT-supported studies. Pharma companies, biotech and CROs have relied on ERT solutions in 9500+ studies spanning three million patients to date. By identifying trial risks before they become problems, ERT enables customers to bring clinical treatments to patients quickly — and with confidence.